For my first yeast baked good at altitude, I went for something without long rising times that could go too far, and I had great results. In fact, this is quick enough to get in the oven that I baked it on a work day, and still made it in on time. What does it even mean if flowers say to keep them in bright light, but not direct sunlight? How does that work?? 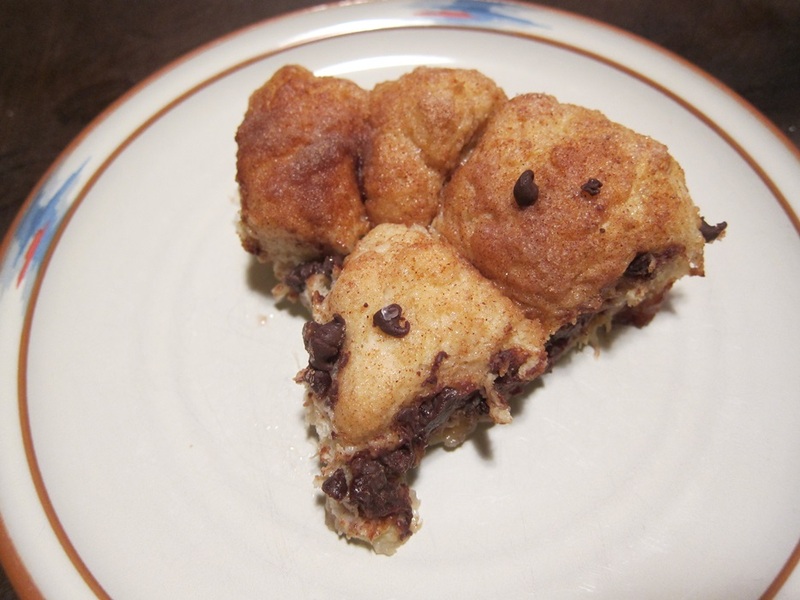 This combines the cinnamon sugar-ness of many monkey breads with everyone’s other favorite flavor combination, chocolate and banana. You really can’t go wrong! Lightly grease a 9″ pie plate and set aside. 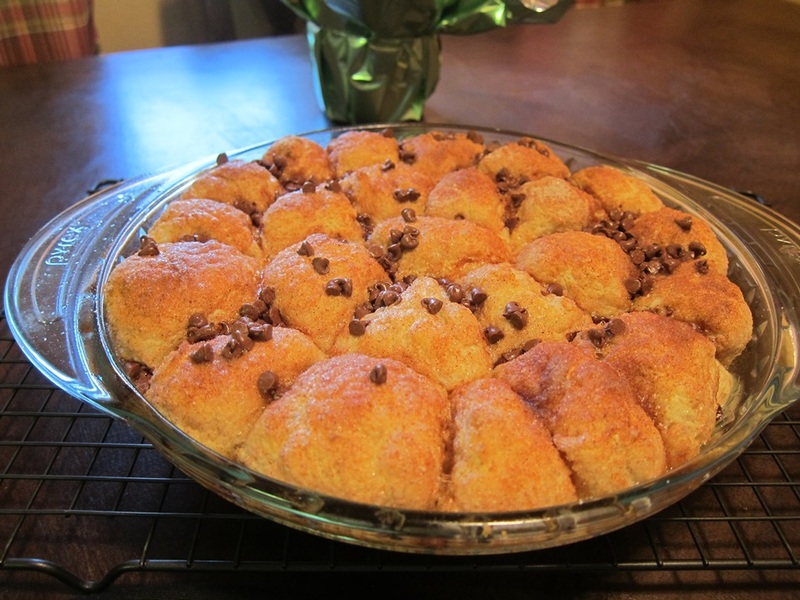 Stir together the sugar and cinnamon for the topping in a small bowl and set aside. 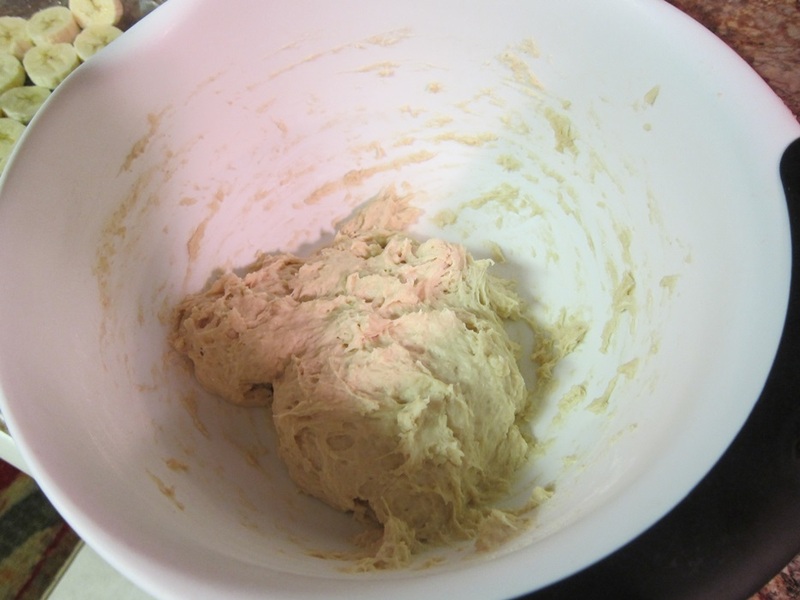 In a medium bowl, whisk together the flour, sugar, yeast, and salt. Stir in the water and melted butter, mixing well, then add the walnuts. You can knead the dough briefly if desired, but thoroughly stirring is enough. 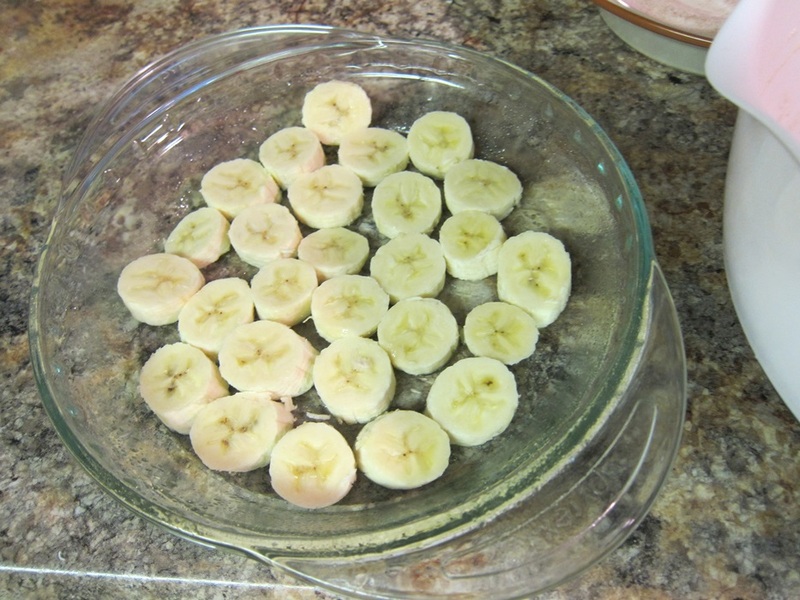 Place the banana slices evenly across the bottom of the pie pan. Divide the dough into roughly tablespoon sized pieces, and roll each piece in the cinnamon sugar mixture before placing on top of the banana slices, until the dish is full and the dough is used up. 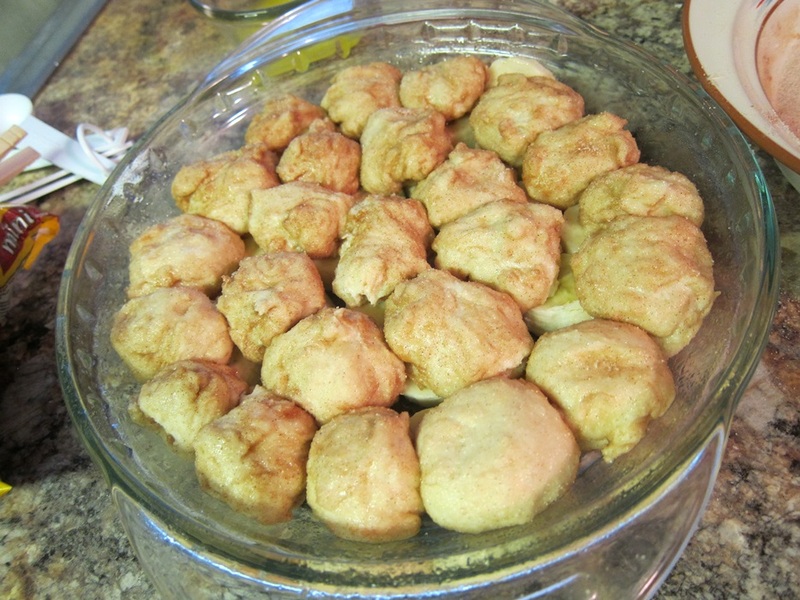 Sprinkle remaining cinnamon sugar over the dough, then brush/drizzle the melted butter over the top of the dough. Sprinkle the chocolate over the top. Place the prepared dish in a cold oven, then set the oven to 350 degrees and bake for 25-30 minutes, until lightly browned and crisp on top. Set on a wire rack to cool for 10 minutes, then serve still warm. Refrigerate any leftovers. I’m not sure why my breakfasts have been getting real nice lately, but I’m certainly enjoying it! And this has fruit, so you can pretend you’re starting the day off healthily! 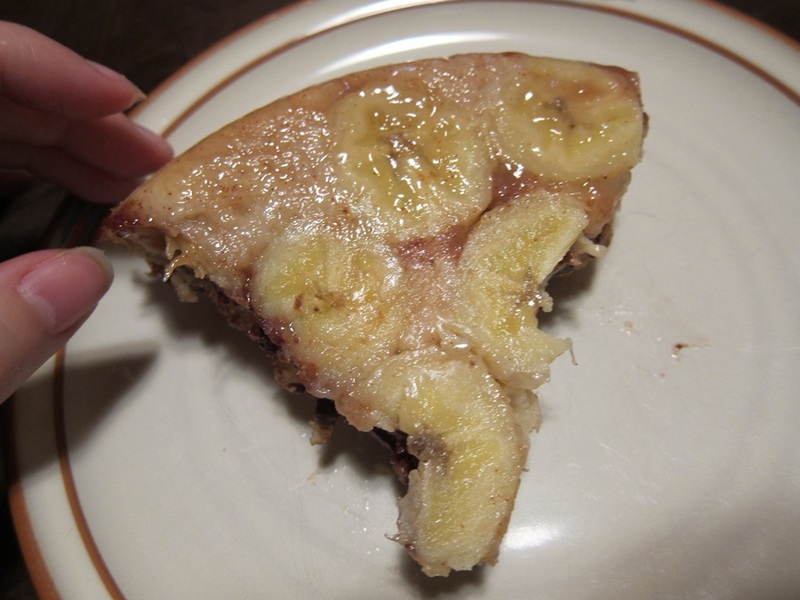 Place the banana slices evenly across the bottom of the pie pan. Divide the dough into roughly tablespoon sized pieces, and roll each piece in the cinnamon sugar mixture before placing on top of the banana slices, until the dish is full and the dough is used up. 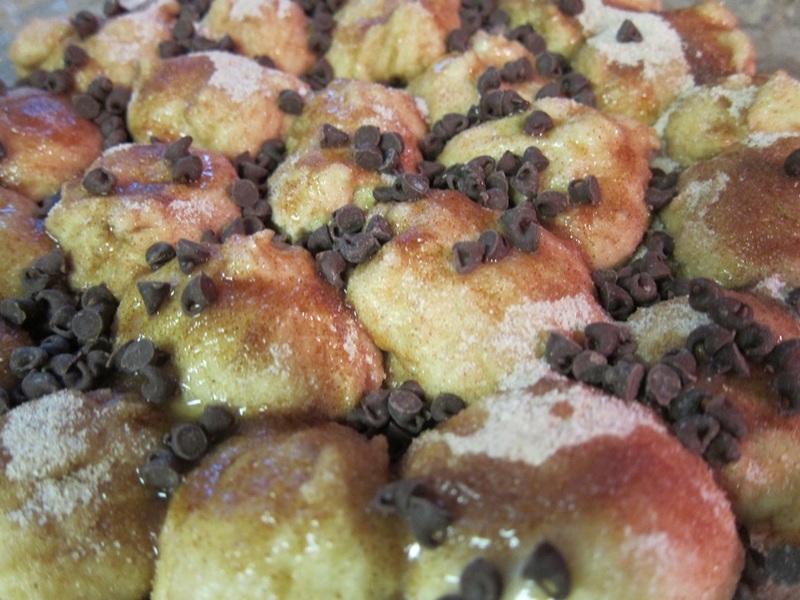 Sprinkle remaining cinnamon sugar over the dough, then brush/drizzle the melted butter over the top of the dough. Sprinkle the chocolate over the top. Place the prepared dish in a cold oven, then set the oven to 350 degrees and bake for 25-30 minutes, until lightly browned and crisp on top. Set on a wire rack to cool for 10 minutes, then serve still warm. Refrigerate any leftovers. 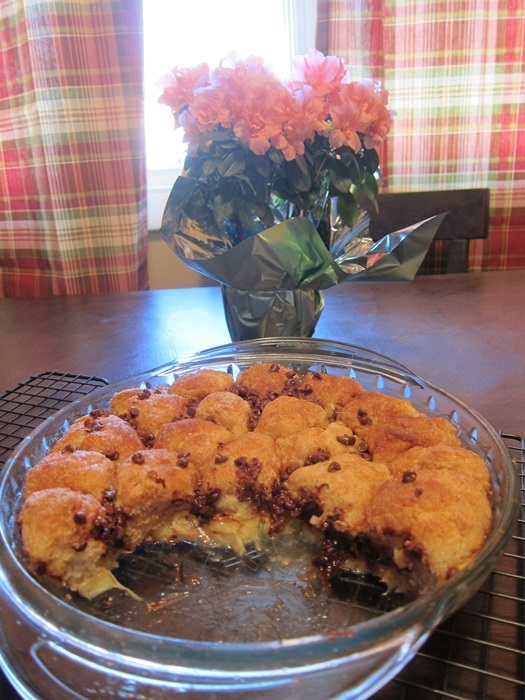 This entry was posted in Breakfast, Brunch and tagged chocolate and banana, cinnamon sugar, monkey bread. Bookmark the permalink.